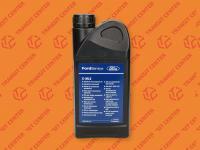 Ford Transit MK3 accessories these are car parts like brake fluid and motor oil. Ford Transit MK3 accessories these are car parts like brake fluid and motor oil. 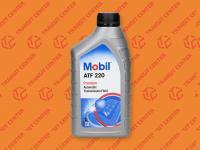 Moreover in this department you can also find the elements like for example, the engine oil, the jack or the coolant. Our automotive shop – Transit Center offers the accessories, which you have the opportunity to purchase at the lowest prices. The consumables should be regularly exchanged in the time provided by the manufacturer to avoid serious consequences. Any liquids lose their beneficial properties over the time and the number of traveled kilometers. They should be in the good condition to ensure a proper lubrication and protection to your Ford Transit, where it is needed. Inadequate quality brake fluid may begin to absorb water, which could lead to boil and a significant reduction in the effectiveness of the braking system. The improper coolant may freeze and damage your Ford Transit, so try to control everything regularly and in accordance with the manufacturer’s instructions, to ensure the components good technical condition for a long time. We honestly encourage to visit our website and buy necessary products. Please contact on e-mail address: info@transitcenter.co.uk.